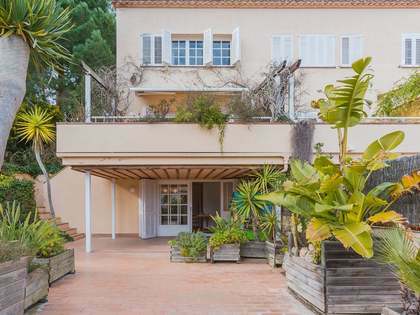 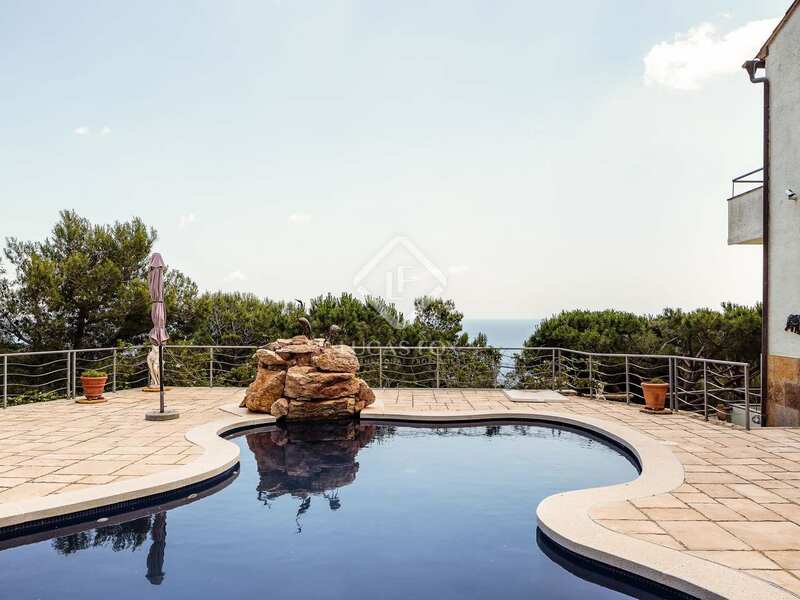 Traditional style Mediterranean villa for sale close to the beaches of Tamariu and Aiguablava on the Costa Brava. 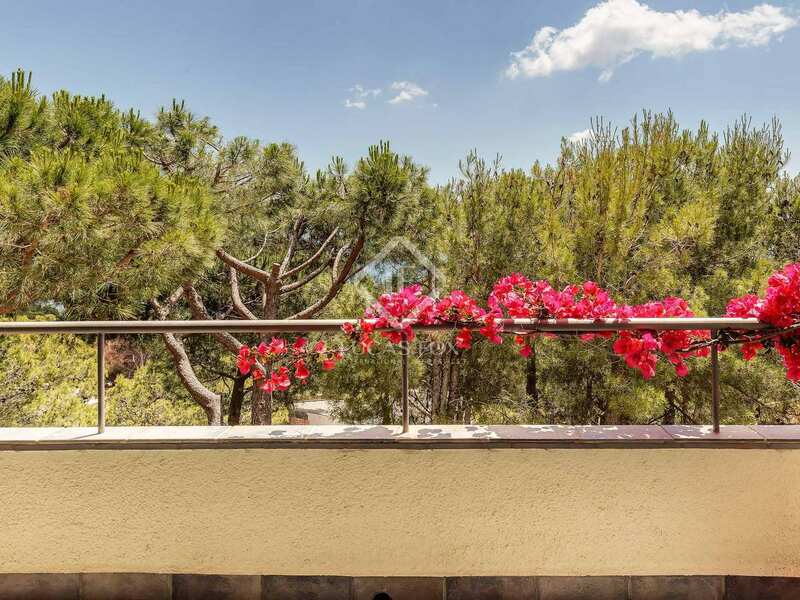 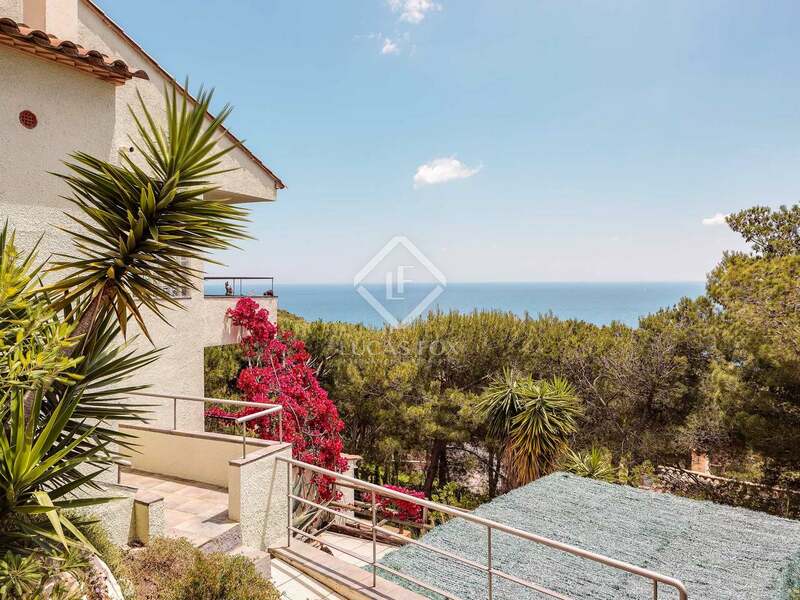 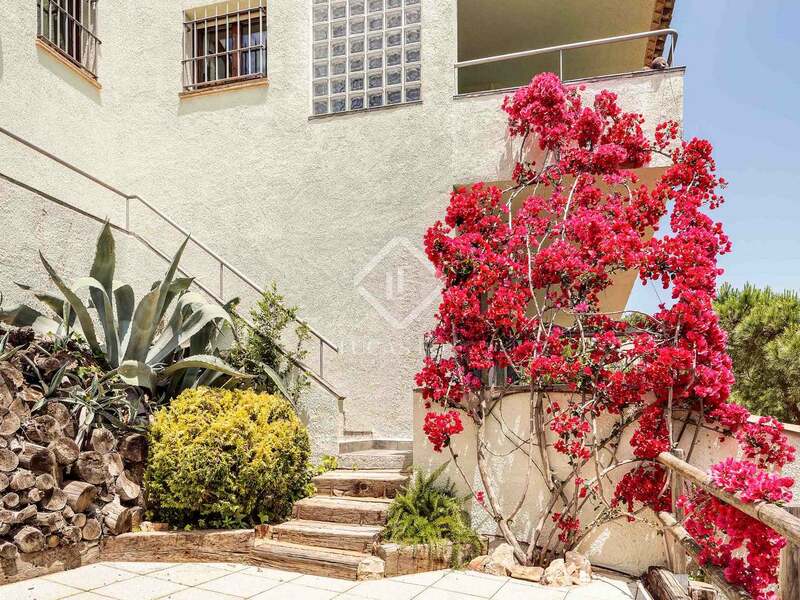 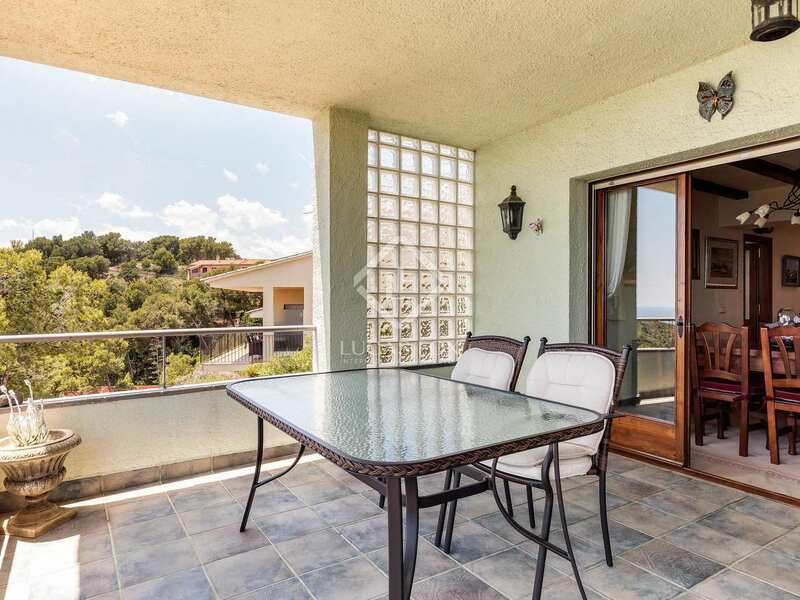 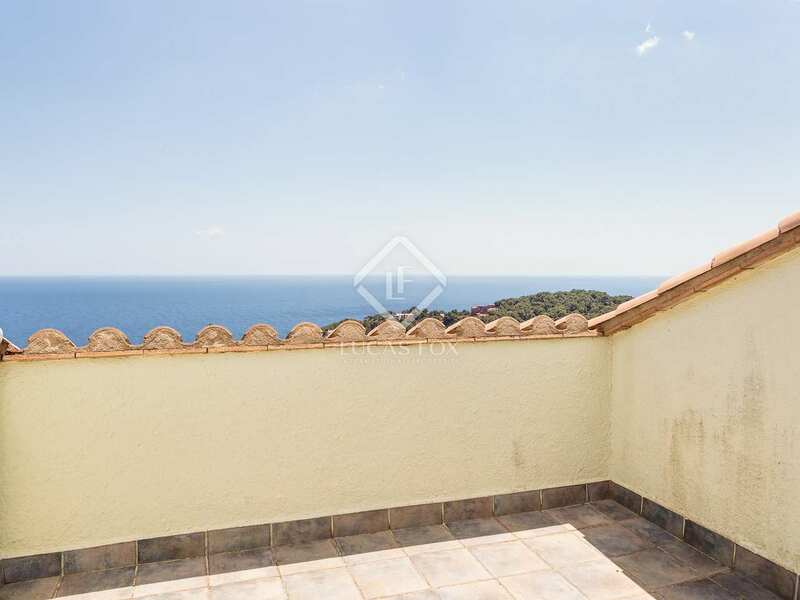 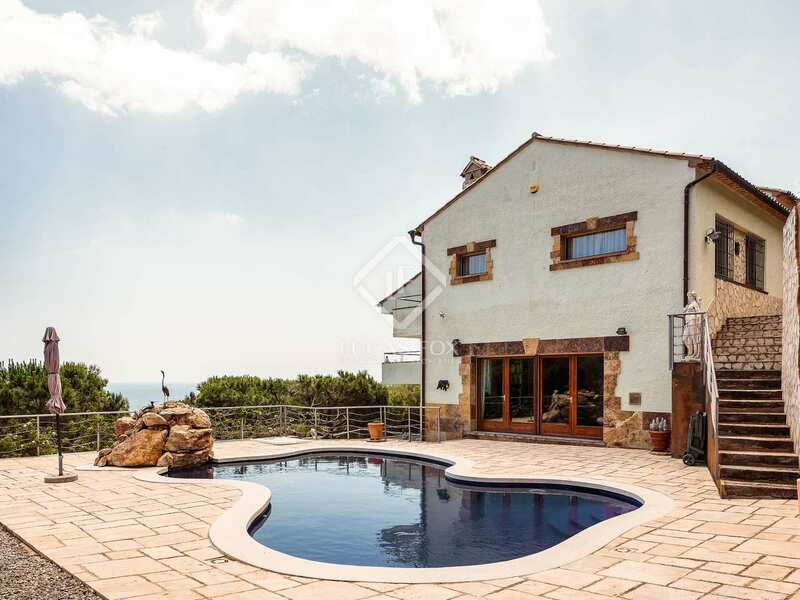 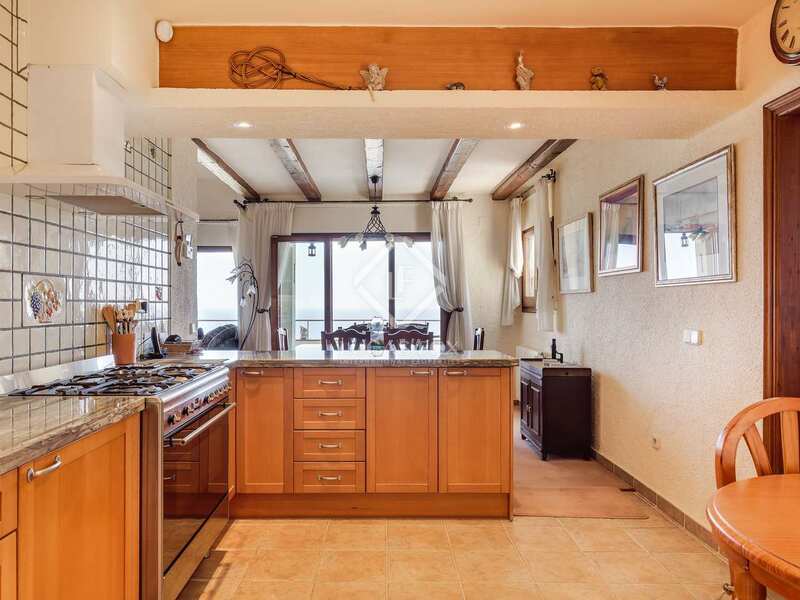 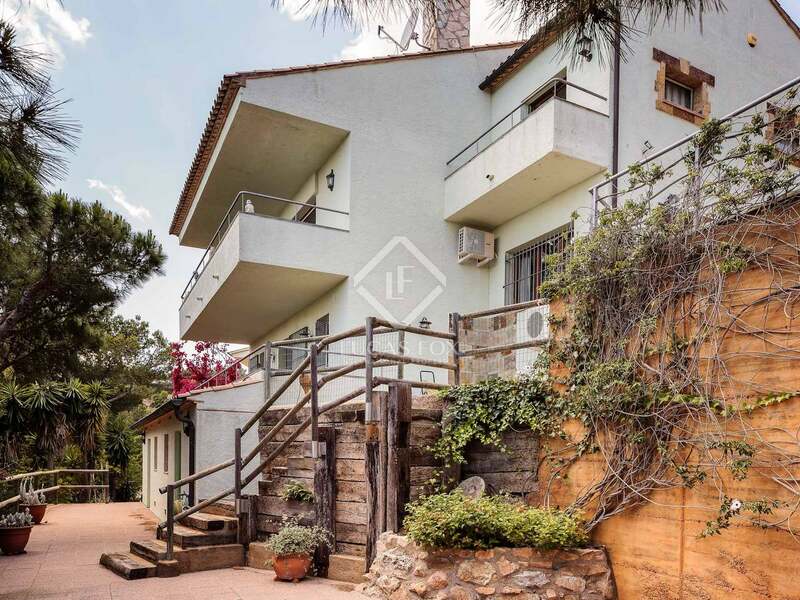 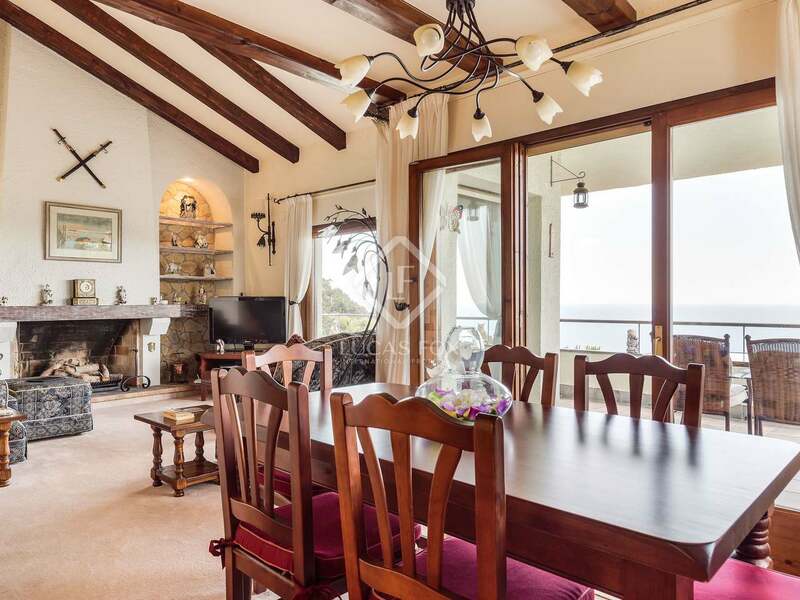 This property for sale in Tamariu stands out for its stunning sea views. 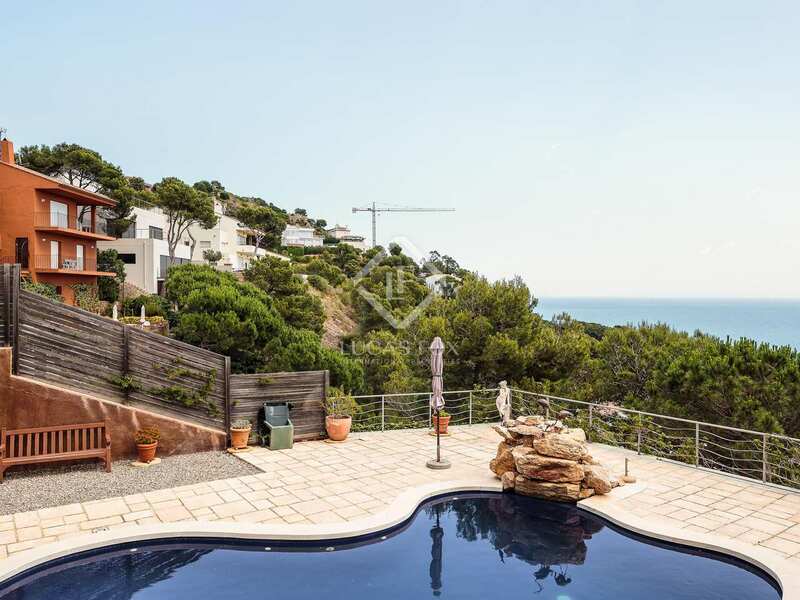 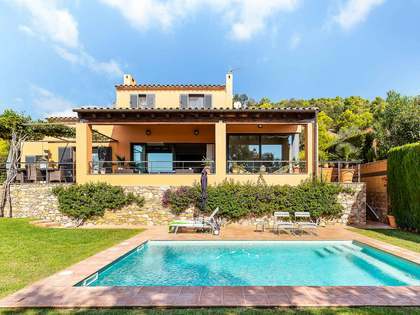 The villa is situated a couple of kilometres from the lovely beaches of Tamariu and Aiguablava as well as just a few minutes' drive from Aiguagelida, one of the Costa Brava's most beautiful hidden coves. 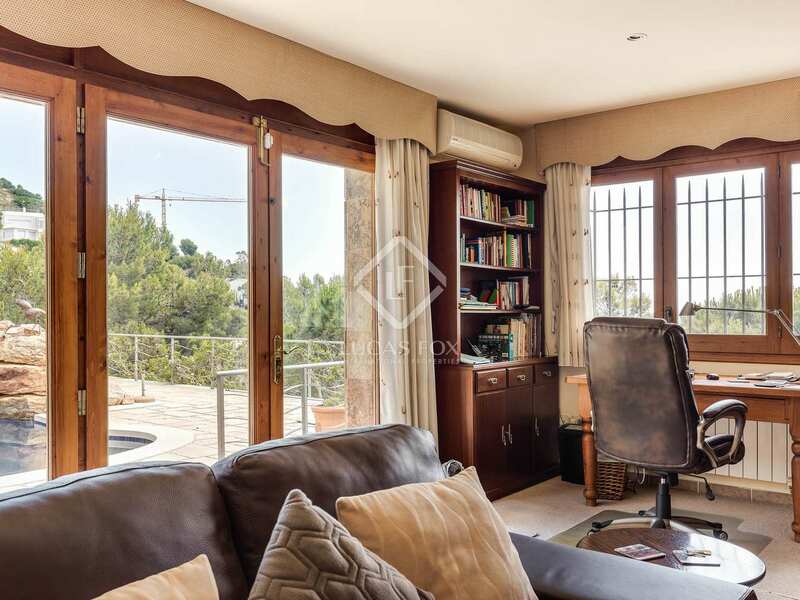 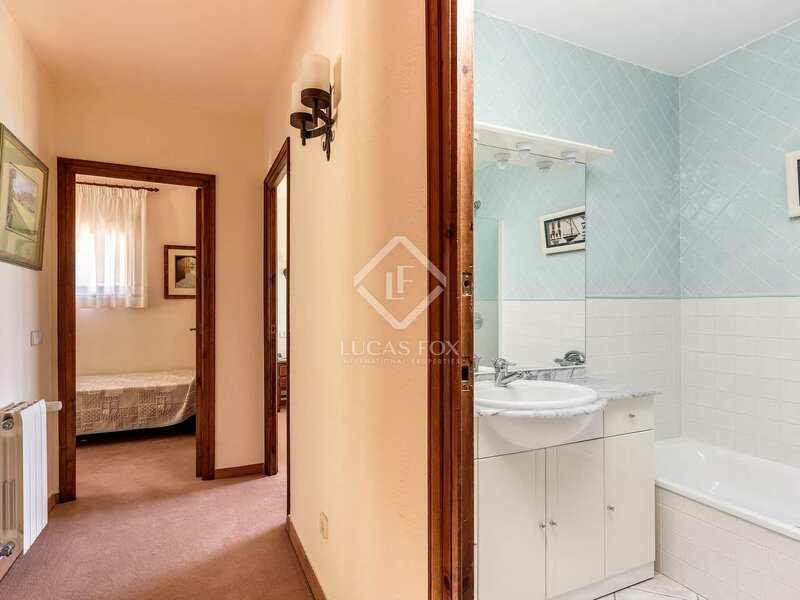 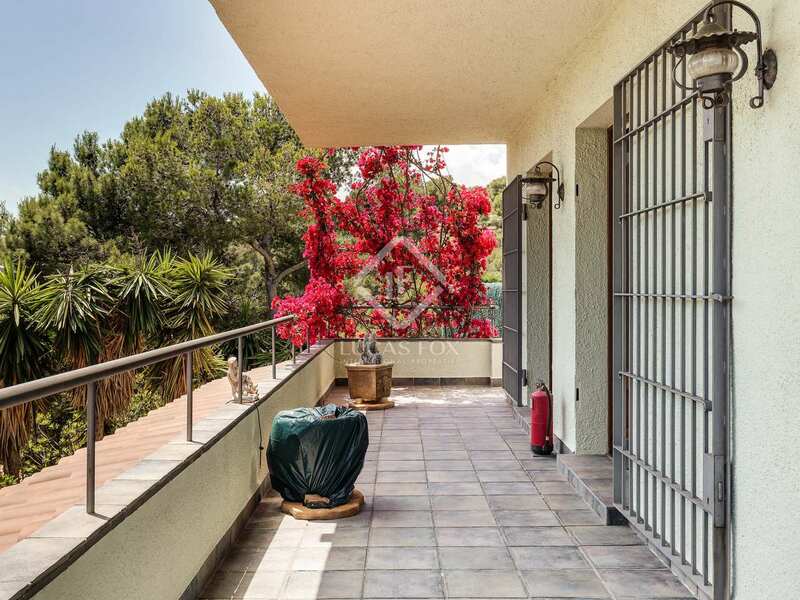 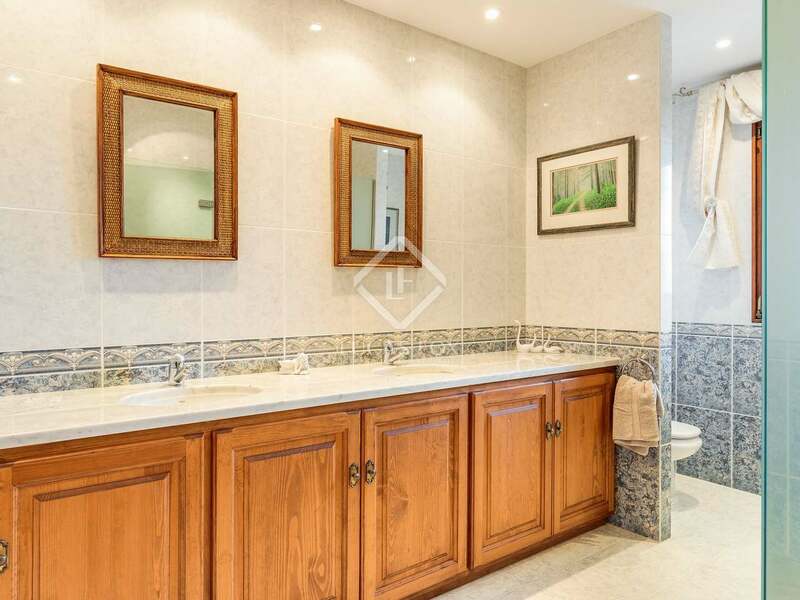 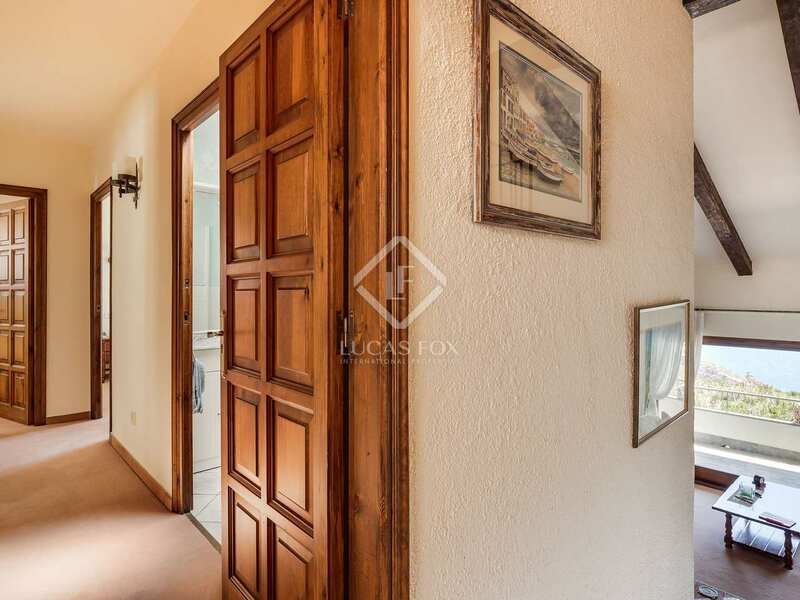 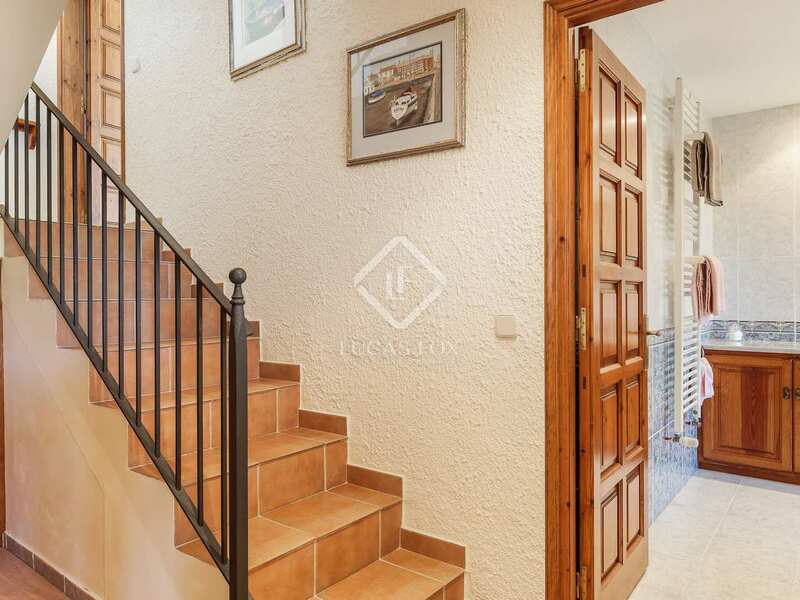 A traditional style Mediterranean villa set over 3 levels, the main entrance is at street level at the top of the house where there is a one-car garage, 3 bedrooms and a shared bathroom. 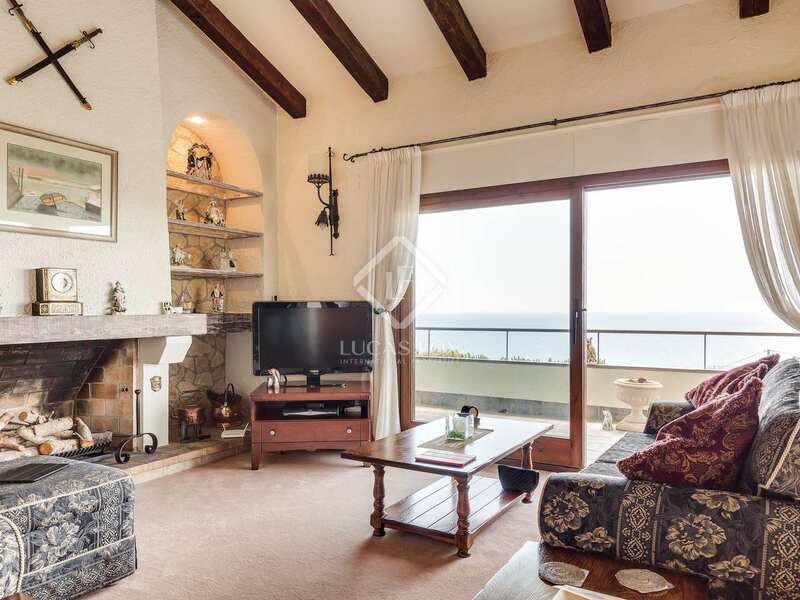 At first floor level there is a living-dining room with high ceilings, a fireplace and access to the terrace from which the fantastic sea views can be enjoyed. 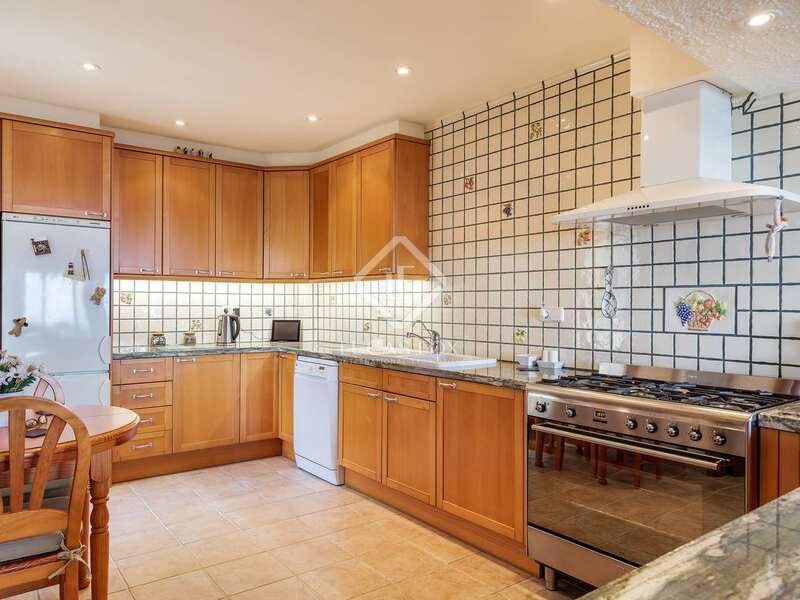 The spacious kitchen is open plan with a breakfast bar perfect for informal dining and great sea views. 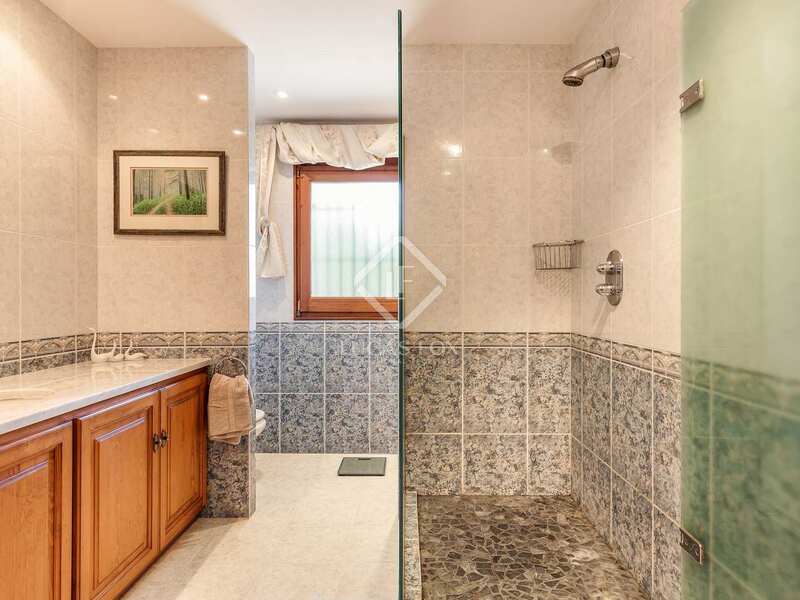 A laundry/utility room, adjacent to the kitchen, completes this level. 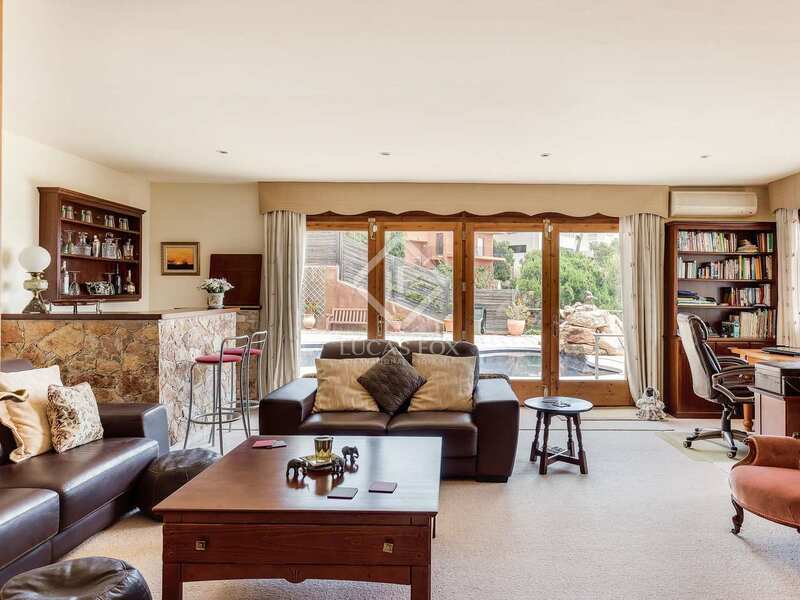 On the ground floor there is a large reception room with a bar and direct access to the pool. 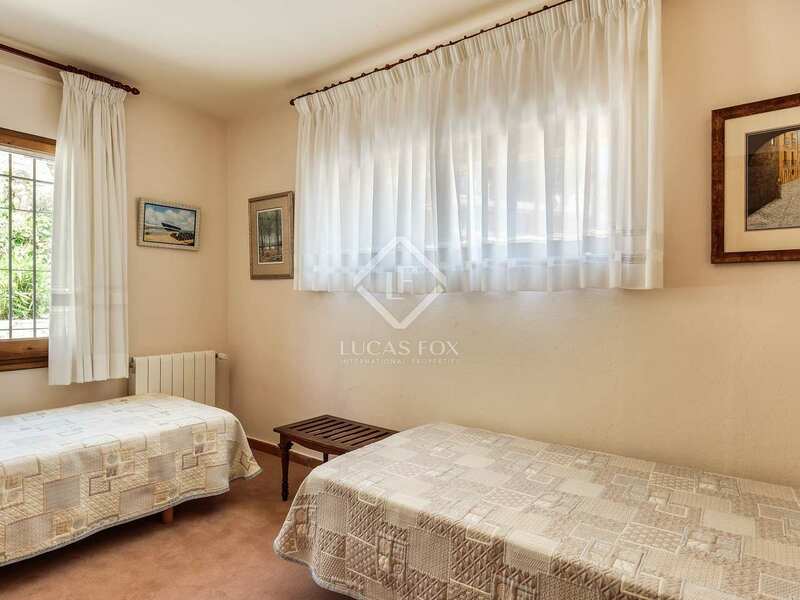 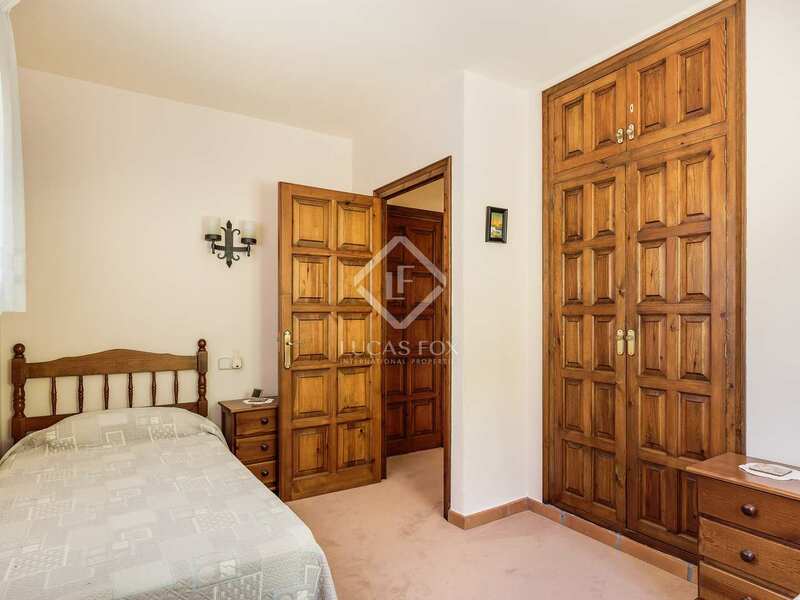 There is also a large double bedroom with en-suite bathroom. 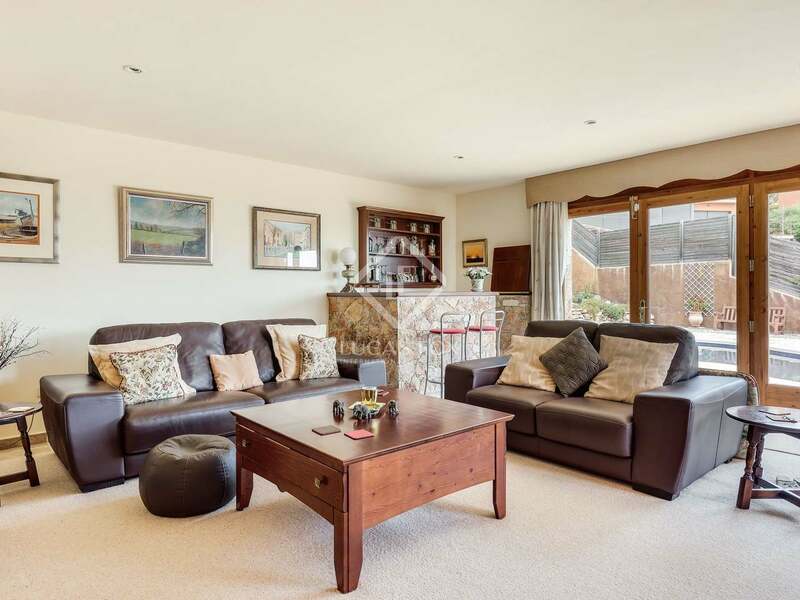 The outdoor areas include a private pool with a water feature and stone surround, a low maintenance garden, ideal for holiday use, and a large south facing terrace which is accessed from the main living room, perfect for al fresco dining. 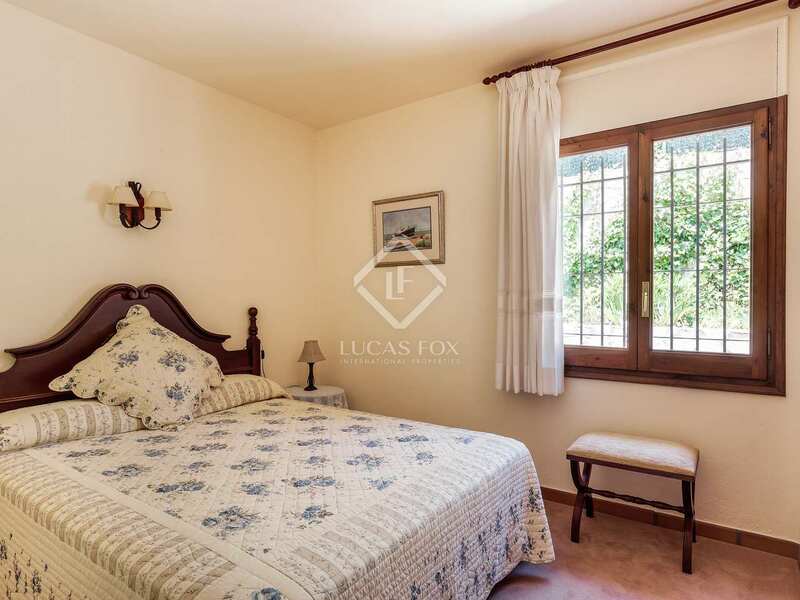 The property is equipped with central heating and air conditioning for year round comfort and there is also a convenient storage area. 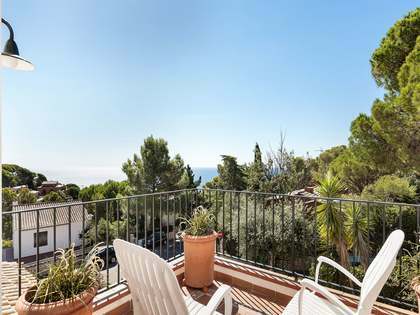 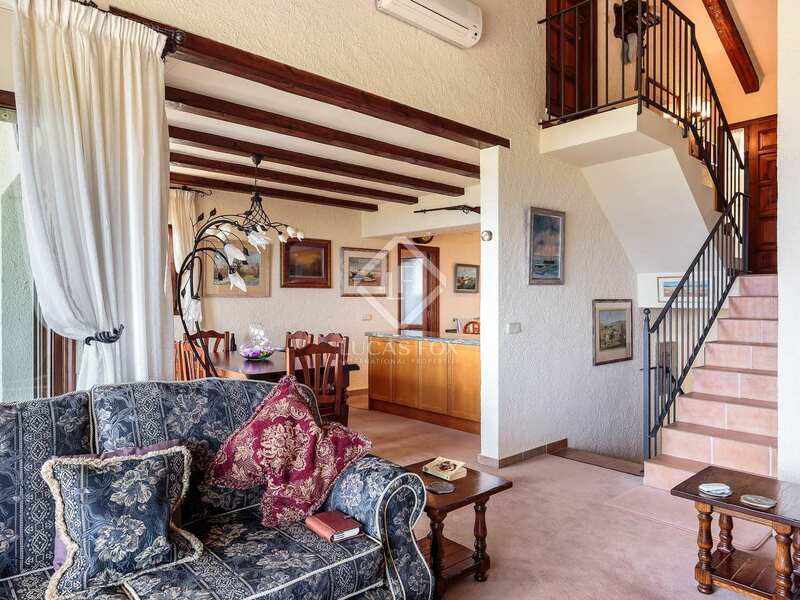 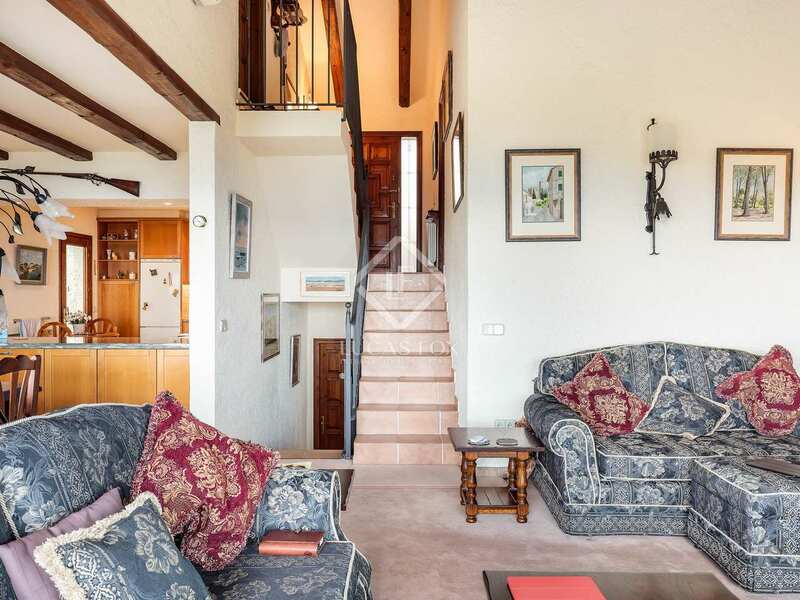 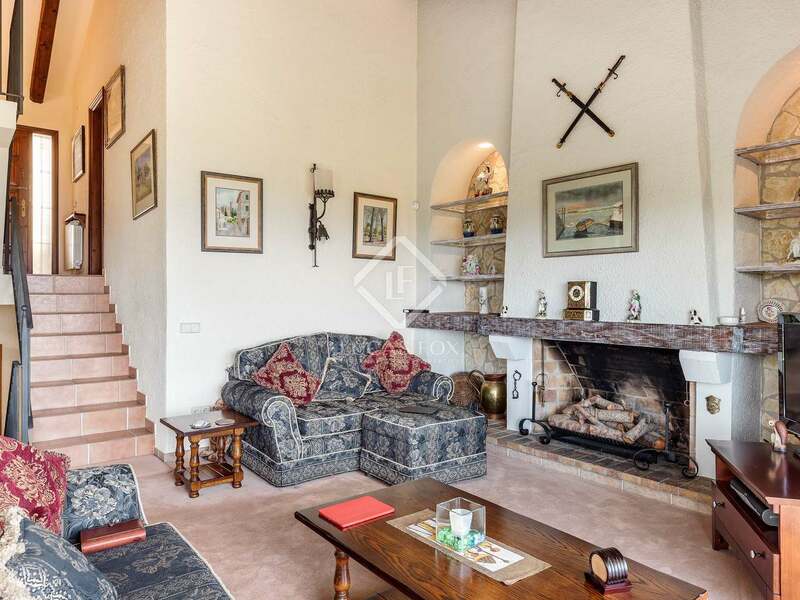 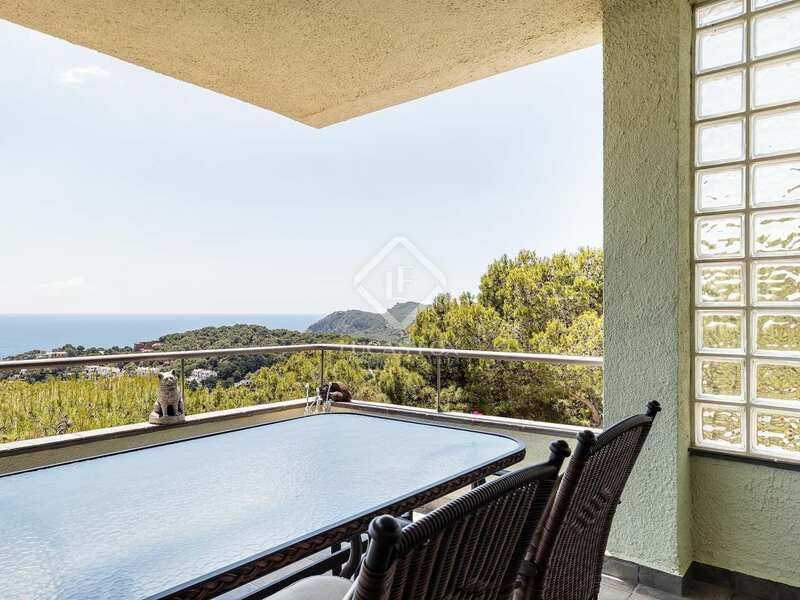 An ideal holiday home for families or retirees in a stunning location on the Costa Brava. 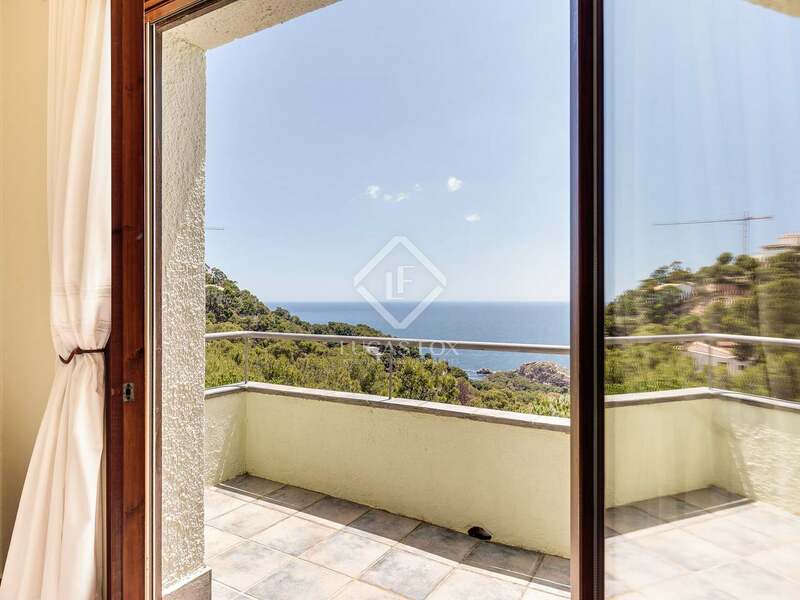 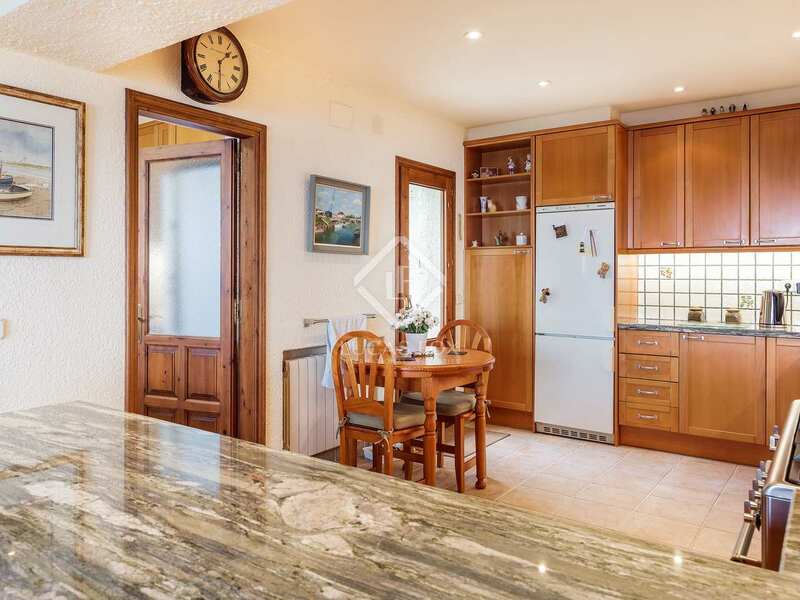 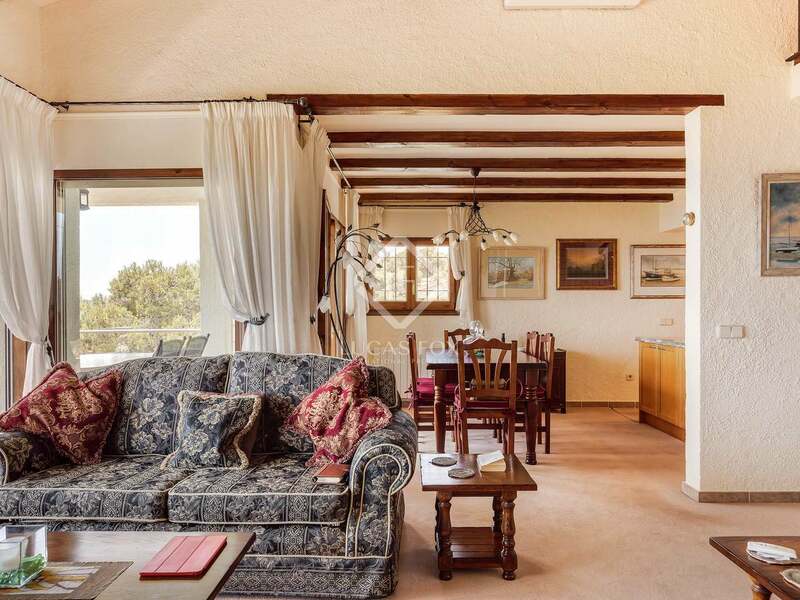 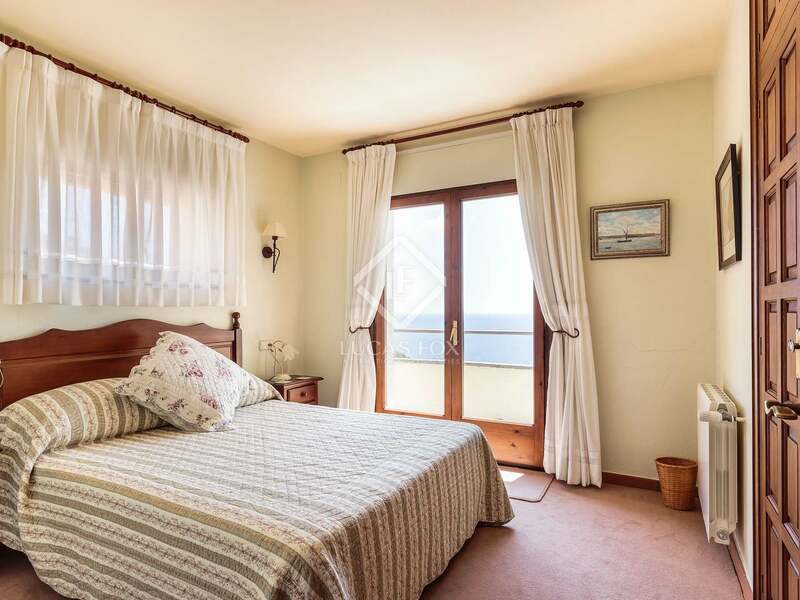 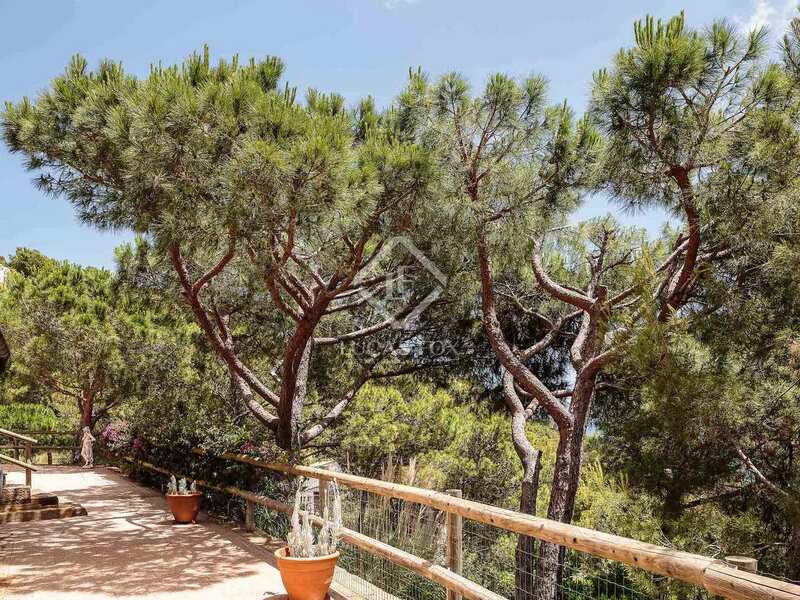 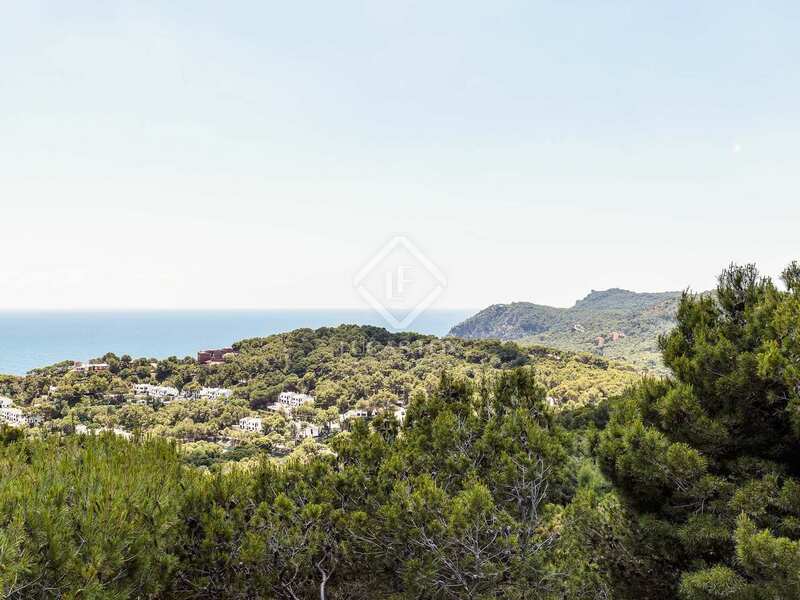 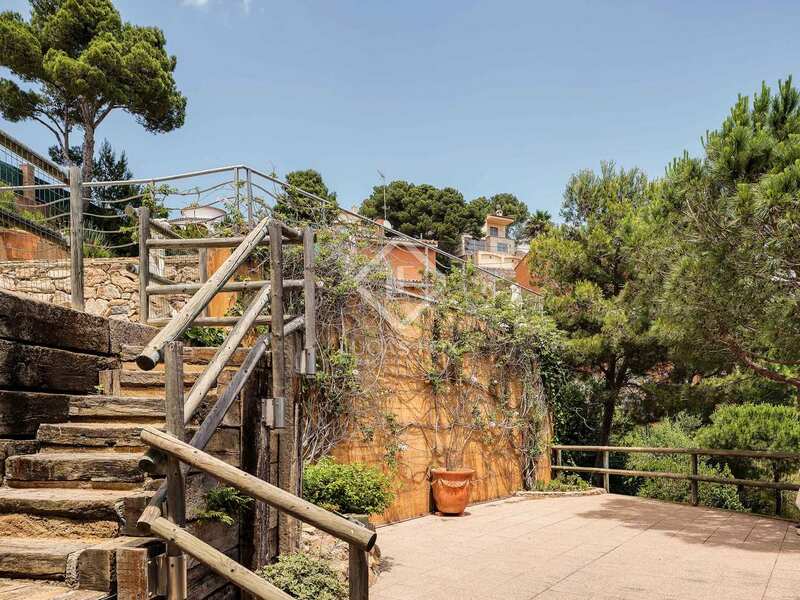 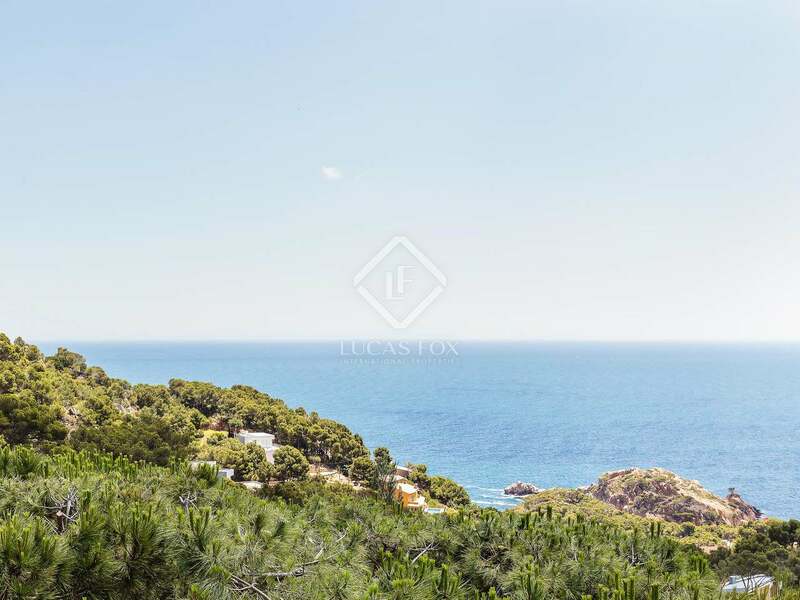 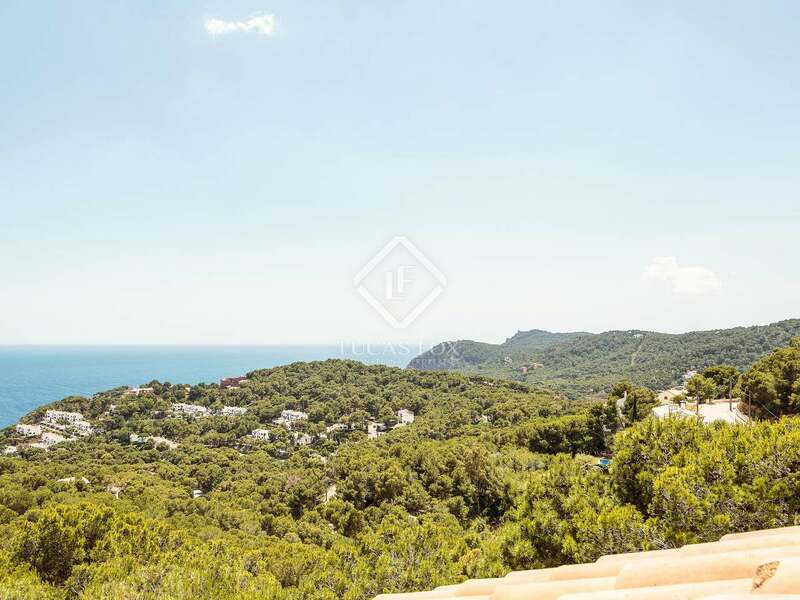 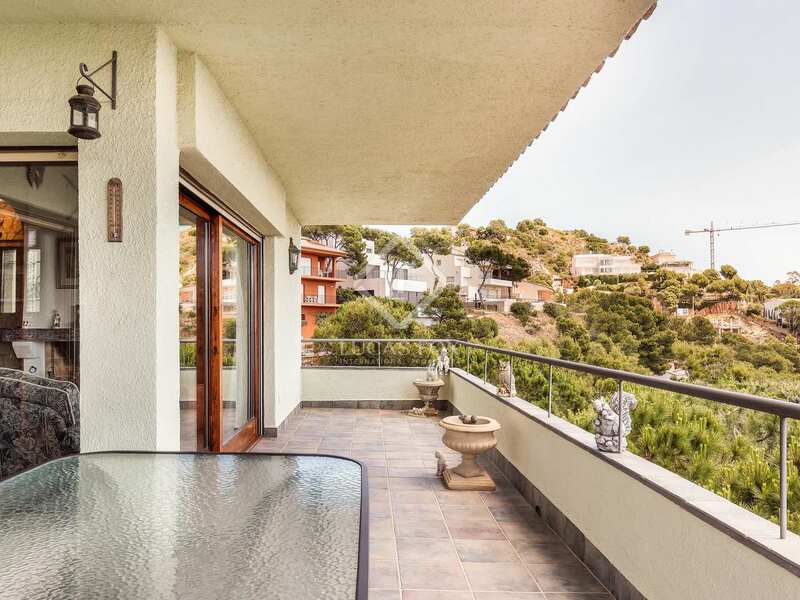 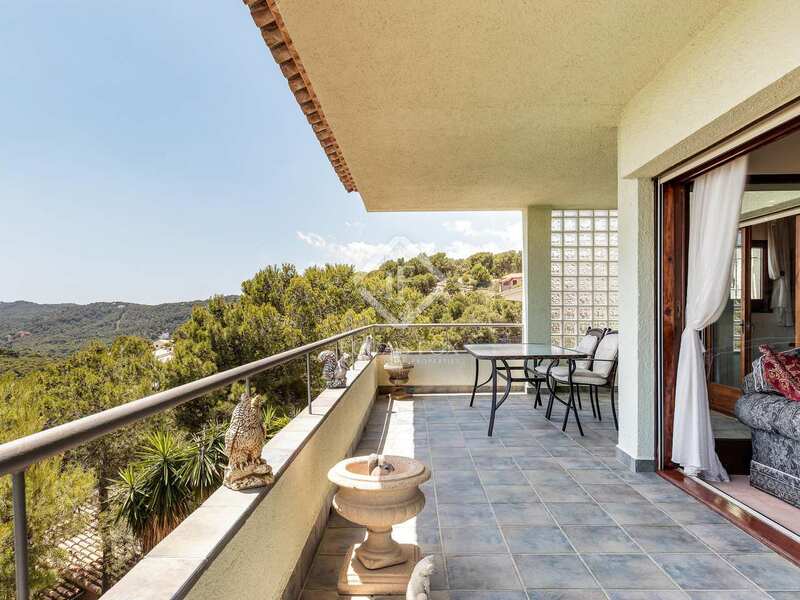 Property located a couple of kilometres from the lovely beaches of Tamariu and Aiguablava as well as just a couple of minutes' drive from Aiguagelida, one of the Costa Brava's most beautiful hidden coves.